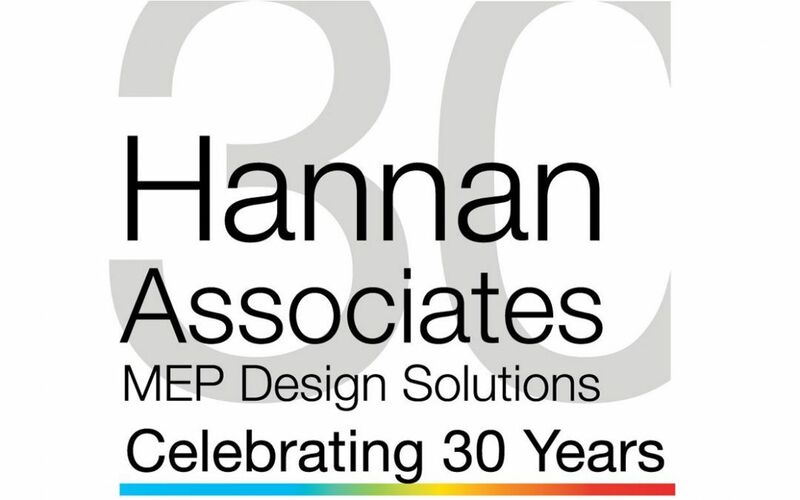 We are celebrating 30 years of Hannan Associates! We are delighted to be celebrating our 30th birthday! We have been privileged to work on many landmark projects over the years and have witnessed significant development within the built environment and the construction industry. We value the many relationships we have formed and enjoy the challenges we face as part of the various teams in which we have a place. Although much has changed over the last three decades, our core principles have remained the same. We strongly believe in developing personal connections with our clients by understanding their own individual needs, and using our engineering skills and commercial awareness to deliver genuine benefits. We continue to ask ourselves how can we make a difference and deliver buildings in a cost effective, and environmentally sensitive manner. Thank you to all our clients and colleagues for continuing to use or recommend us. We look forward to the next 30 years……. 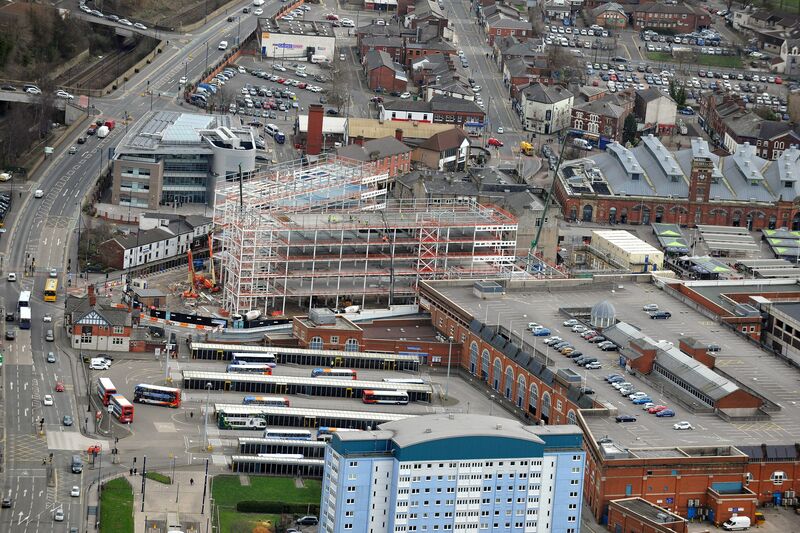 Bus operator Stagecoach are planning to relocate around 200 roles by the end of the year, after signing a 15-year lease on 33,000 sq ft within the recently completed One Stockport Exchange office. 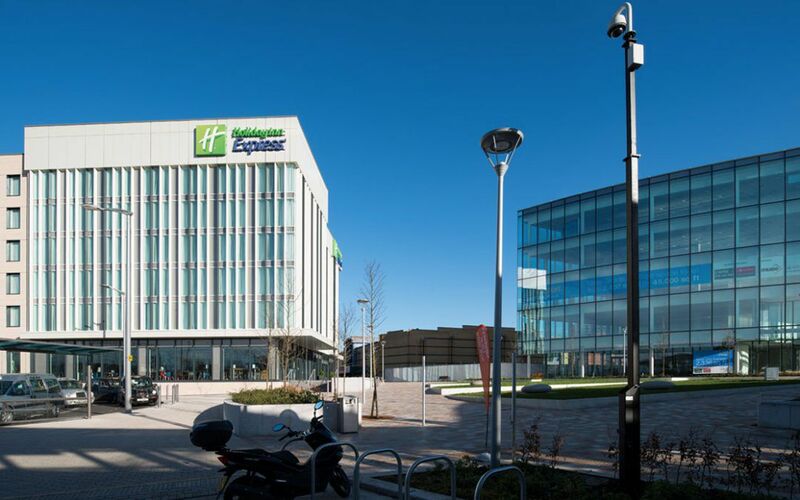 The 55,000 sq ft building is part of the wider £145m redevelopment in the heart of Stockport, by Muse Developments in partnership with Stockport Council. The remaining office is currently in the process of being let, and a new Sainbury’s Local is now open on the ground floor. In addition to this local coffee shop operator Cafelito has leased the remaining 2,400 sq ft ground floor unit and is set to open soon. 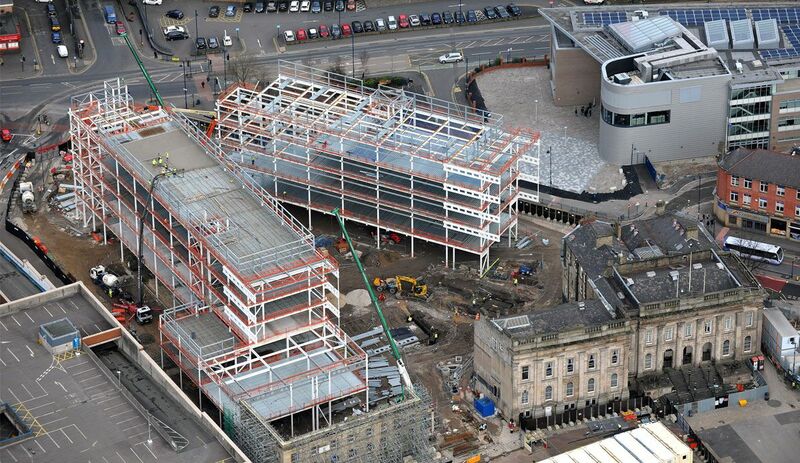 We are proud to continue our role in the team through the second phase of the scheme, after working on the first phase, a 1,000 space multi-storey car park operated by NCP, which was completed in 2014. Once finished, Stockport Exchange will deliver up to 375,000 sq ft of offices and 28,000 sq ft of commercial floor space. 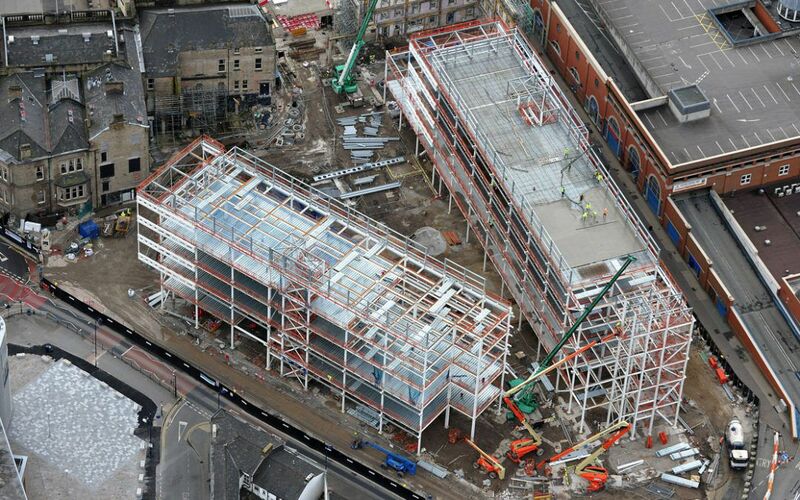 Construction on the new Joint Public Service Centre and Advanced Skills Centre at Vision Tameside is progressing rapidly. The building, which Tameside Council will share with Tameside College replaces TAC, the council’s recently demolished administrative complex. 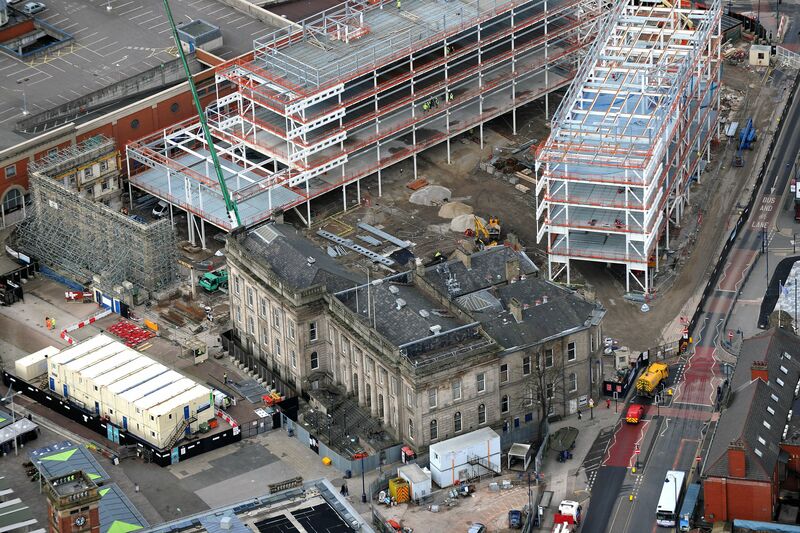 The new centre will be roughly the same height as the TAC at around 22 metres. It will however be significantly smaller in terms of space, and has been designed to be energy efficient, with solar panels being an integral feature of the roof. 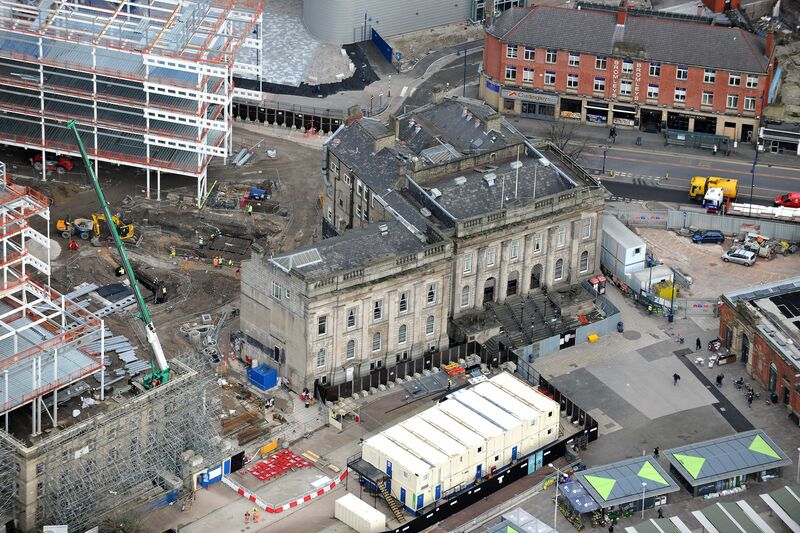 The project is due to open in 2018 and a video of the demolition process of the TAC can be seen below.